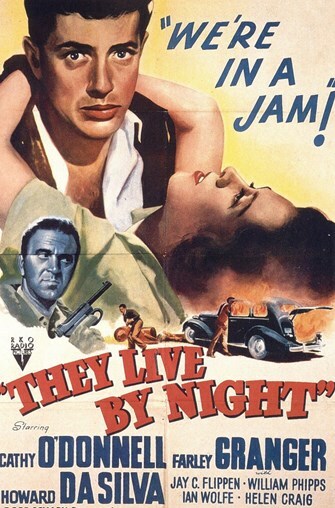 Film NOIR-vember: "They Live By Night"
Join us for free movies & refreshments courtesy of the Talent Library Club on Wednesdays starting at 2:00 p.m.
11/14 – They Live By Night (1948 / 95 min. / NR) - An escaped convict, injured during a robbery, falls in love with the woman who nurses him back to health, but their relationship seems doomed from the beginning. Nicholas Ray directs Cathy O’Donnell and Farley Granger. ​​​​​​​11/21 – The Asphalt Jungle (1950 / 112 min. / NR) - A major heist goes off as planned, until bad luck and double crosses cause everything to unravel. John Huston directs Sterling Hayden, James Whitmore, Jean Hagen and Marilyn Monroe. ​​​​​​​11/28 – In a Lonely Place (1950 / 94 min. / NR) - A potentially violent screenwriter is a murder suspect until his lovely neighbor clears him. But she begins to have doubts. Humphrey Bogart and Gloria Grahame star, directed by Nicholas Ray.